Play: Kindergarten, Here We Come! Today we are starting a Kindergarten readiness series for all you moms and dads out there whose kids will be starting school this year. 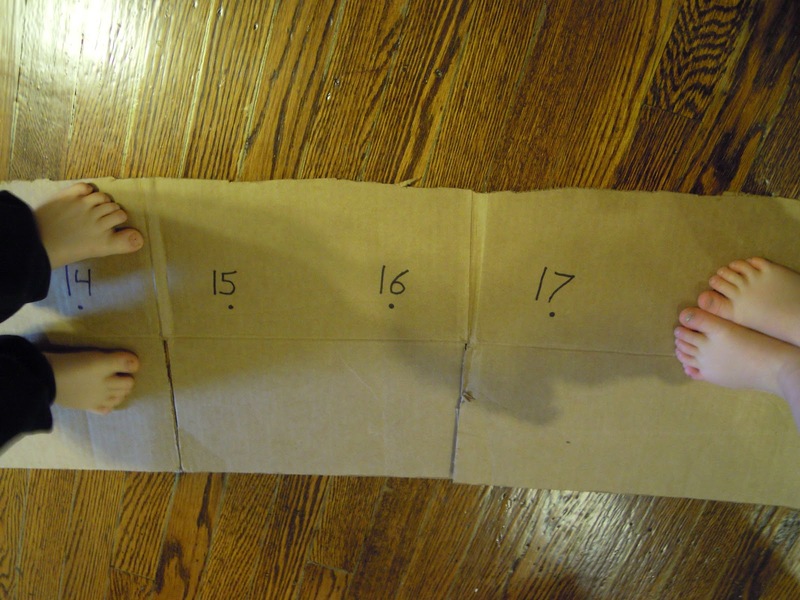 We are kicking off the series with a re-publication of a math post we did last year. 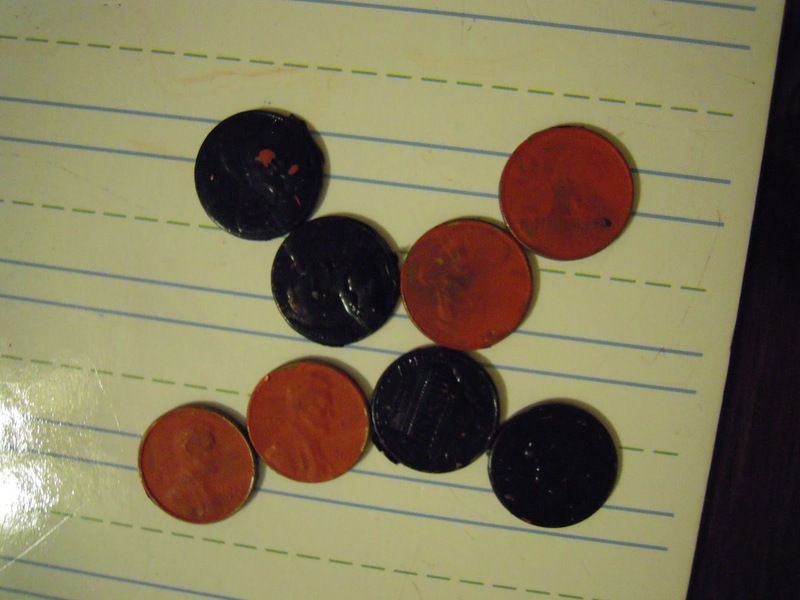 In it, we give some super simple math activities that you can do with the things you have around your house. easily take a small step from one number to the next. 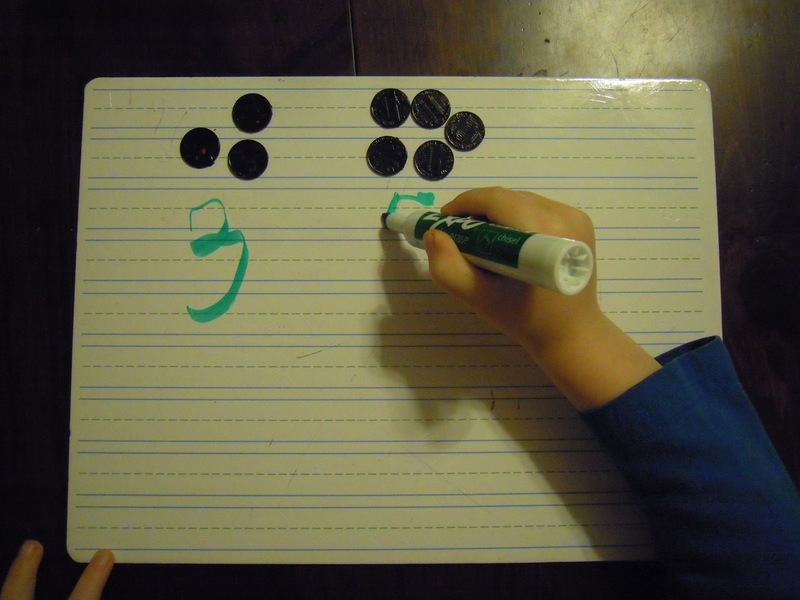 develop the idea of a number line in his head. facing towards the higher numbers, and then walk forward three numbers. What he would be standing on would be the answer. 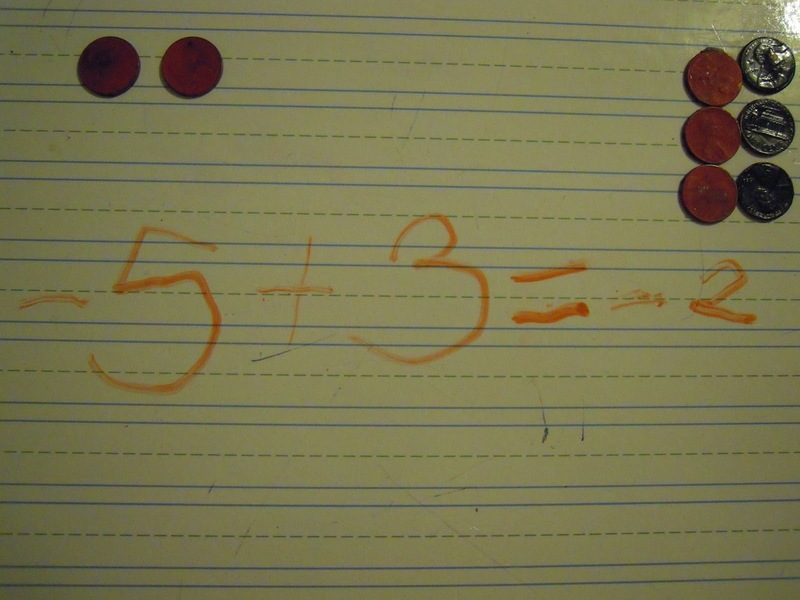 the negative numbers because it was subtracting, then step three spaces. He’d end up being on the number 4, which was his answer. 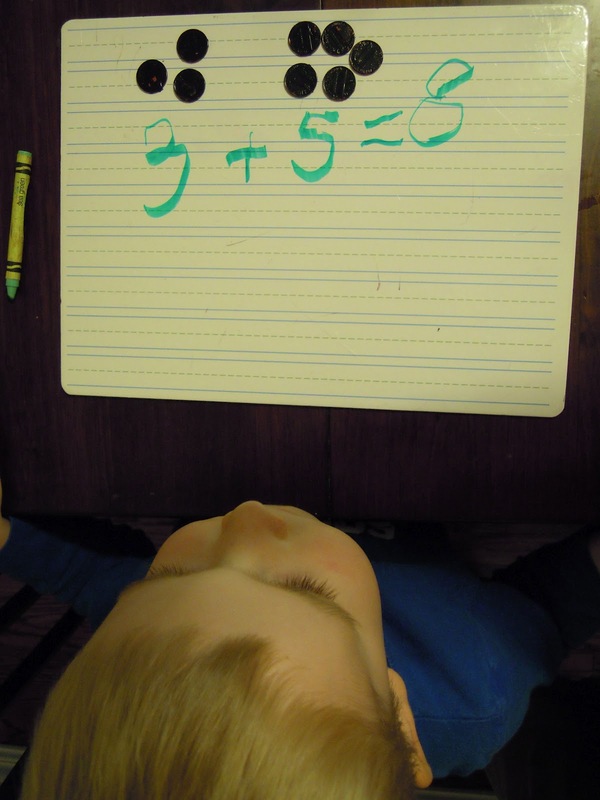 between adding a negative number versus subtracting a number. 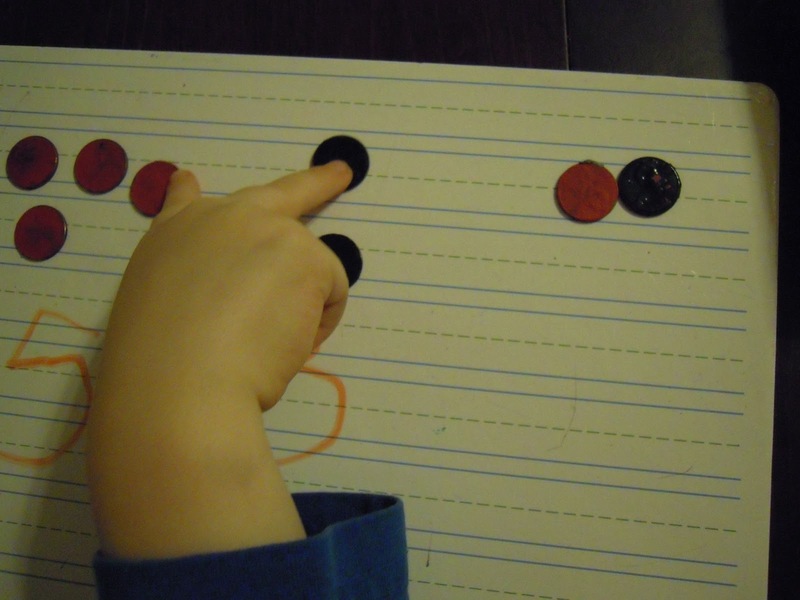 practice “skip counting” (counting by 2s or 3s or 5s) on it. in use and we can just hide it under our couch for storage! takes practice in order for them to “get it” in an intuitive way. represents a negative number and the black represents a positive one. concept when adding positive and negative numbers. Asante is pairing off the red and black and pushing them to the side. 3. Finally, we used it to talk about zero. 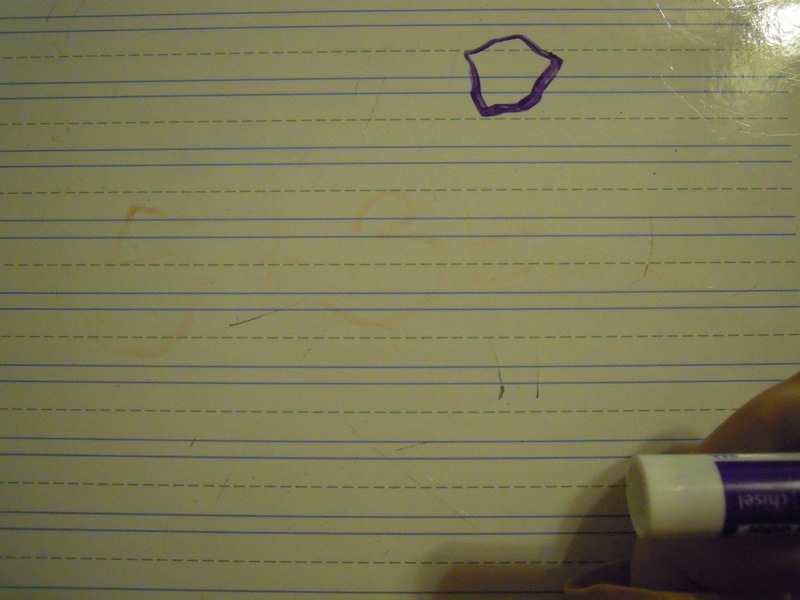 We asked Aly if she knew how to write any numbers, and she said, “yes!” It was zero. asked her how many coins she should put down to represent that number. 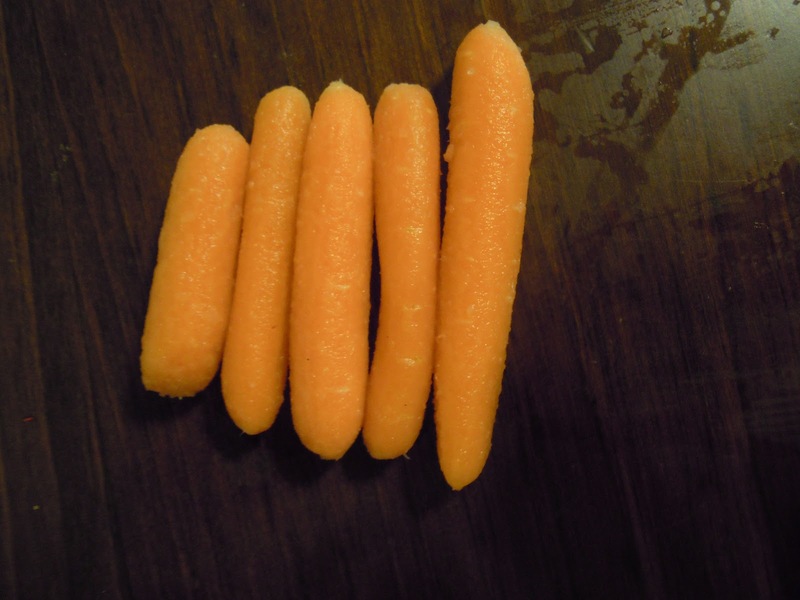 they could line up their carrots from smallest to largest. frustrated, we normally just say, “hey, I see you’re getting frustrated. 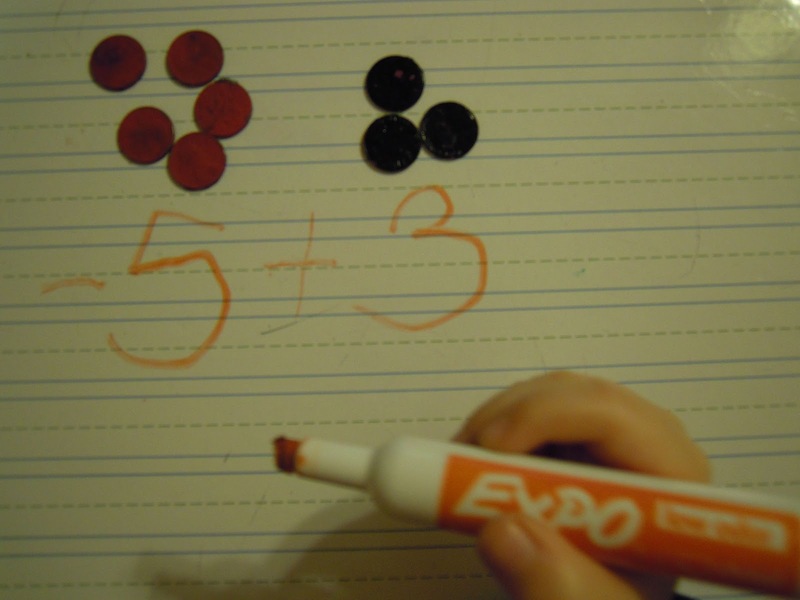 introduced to more formal math concepts later in school. 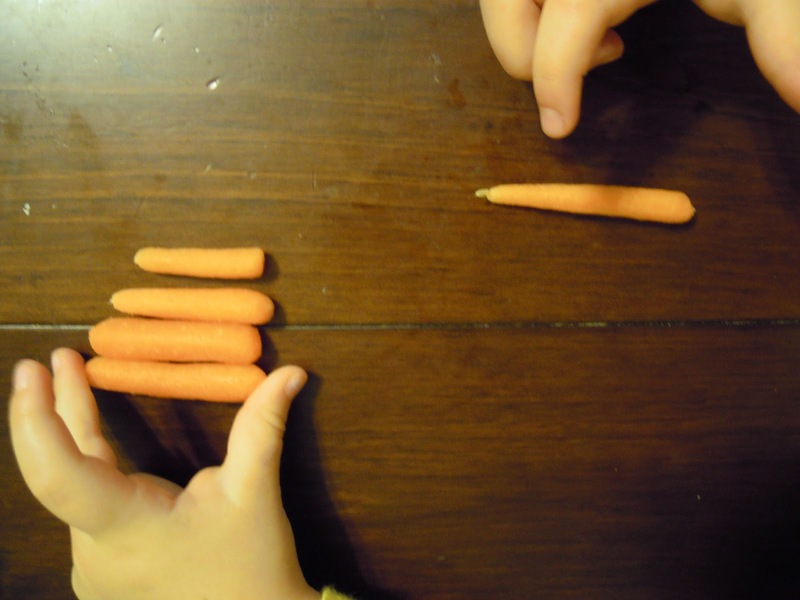 What’s your favorite math activity to do with your kids? Leave a comment below and we can all share ideas!